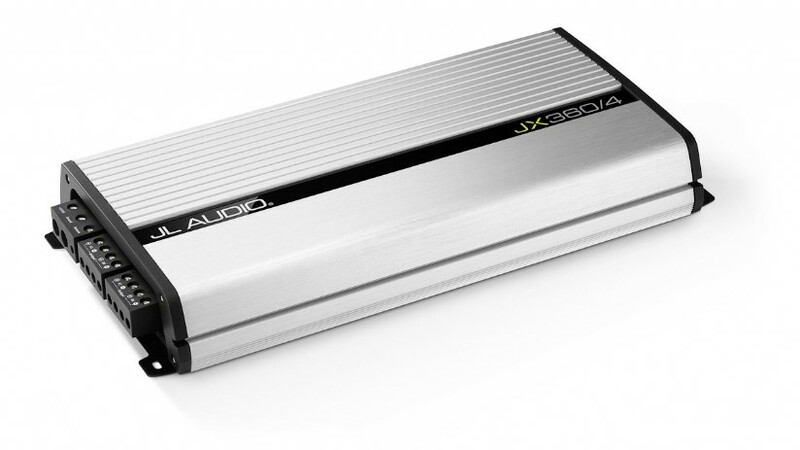 The JX 360/2 is perfect for those seeking a truly powerful, two-channel Class A/B design. 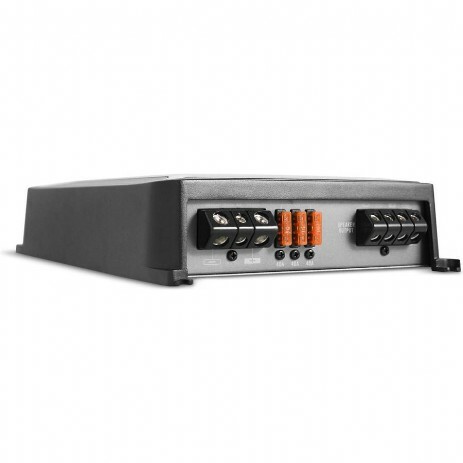 Its robust MOSFET power supply keeps things rock-stable to deliver a very strong 180 watts to each of its two channels into 2 ohms (14.4V, 1% THD). 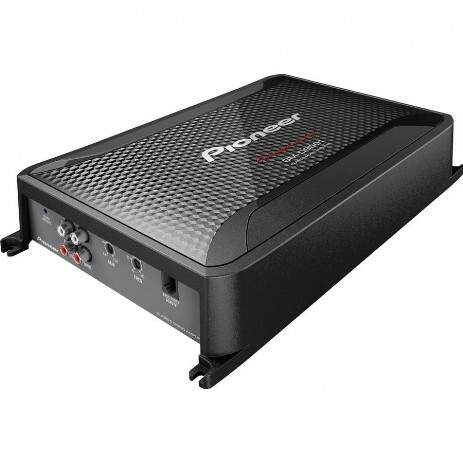 This amplifier can also be bridged to produce 360 W x 1 @ 4 ohms (mono). Use the JX360/2 in combination with one of the JX monoblocks to build an amazing amplification system at a very affordable price. 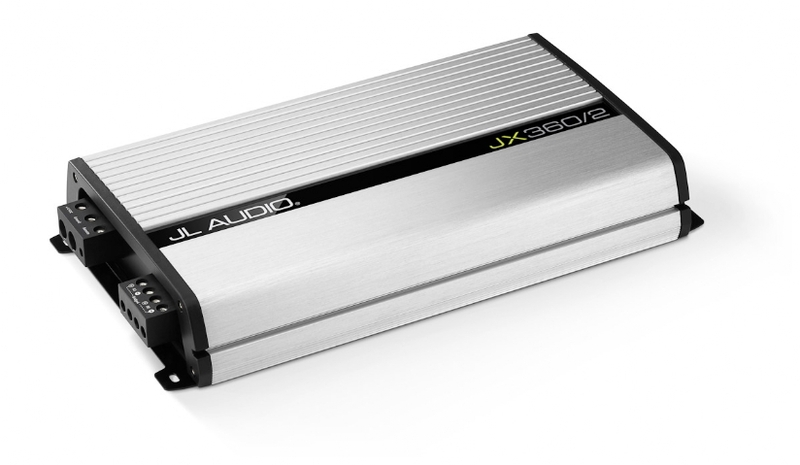 The JX360/4 includes a defeatable 12 dB / octave filter, which can be configured as a low-pass or high-pass filter and offers continuously variable cutoff frequency selection from 50-200 Hz. 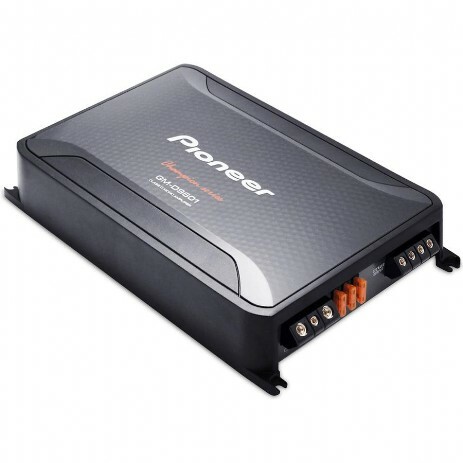 Dedicated hi-level inputs are included, in addition to conventional low-level RCA inputs, making it easy to integrate with a variety of OEM and aftermarket head units.